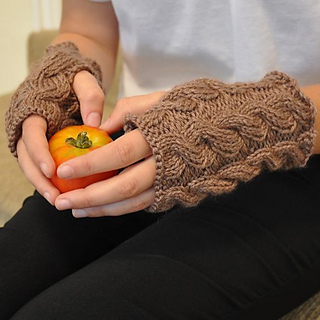 These are created in one size, which fits all, due to the deep soft cables, that increase and decrease to gently change size to fit the shape of your hand. Knitted flat, and stitched together with mattress stitch, leaving a hole for each thumb. 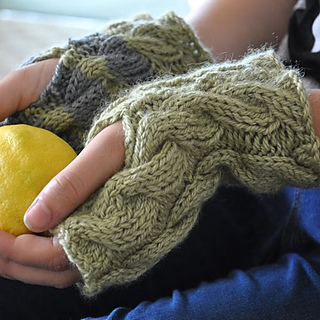 Easy to also wear as wrist warmers, by just removing the thumb and pushing up the arm, so no need to keep taking on and off when out and about. 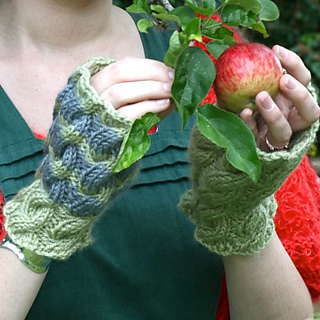 The end result are beautiful, deep and soft mitts, that are stylish and practical, and are great for gifting. 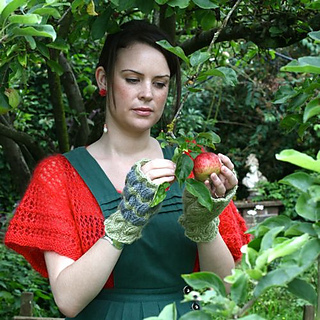 These are an intermediate knit, good for those who have experience of cabling, but would also be a great project for someone wanting to expand their cabling knowledge and skill, as a small project that allows experience of increasing and decreasing while working in cable.